It’s amazing to think that after all these years, and hundreds of Star Wars books, Qui-Gon Jinn has remained a mysterious and unexplored character. Aside from Jude Watson’s young reader series Jedi Apprentice (which came out 17 years ago, is now Legends, and is out of print), there have been very few stories exploring this captivating Jedi who we first saw in The Phantom Menace. Beyond that film, our knowledge of the character is very limited. We know he was an apprentice to Count Dooku, and that he was the master of Obi-Wan Kenobi. But who was this mysterious Jedi master, one quick to believe in Jedi prophecies of a chosen one, one who Dooku teased would have joined him and the Separatists if he were still alive, and ultimately the one who taught Master Yoda how to become one with the Force? Finally we have a book that begins that exploration of the character. 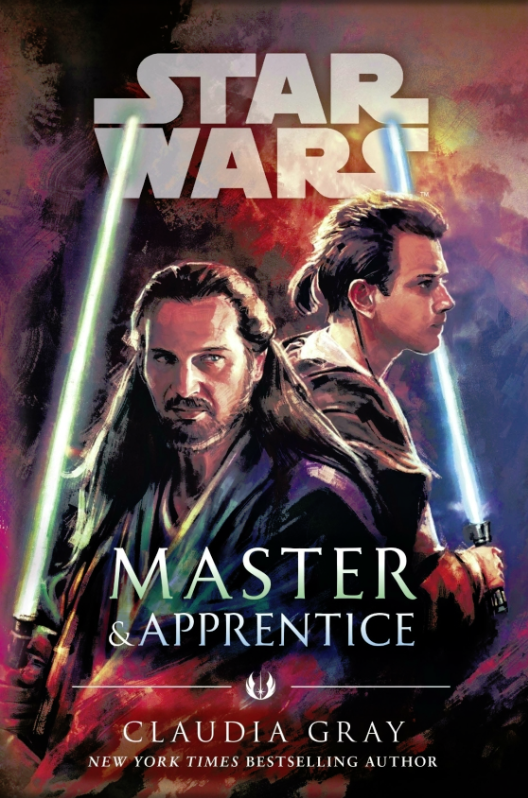 Master & Apprentice not only yields a better understanding of Qui-Gon, but also Obi-Wan, the Jedi prophecies, the Jedi council, and Count Dooku himself. On top of all that, it’s a great read with enjoyable characters and entertaining plot. It’s hard to ask for more. Set around seven years prior to The Phantom Menace, this book explores the relationship between Qui-Gon and Obi-Wan as they set upon a mission to a far off world that will define the destinies before them. There is a queen coming to power on a planet called Pijal and a representative of the Republic is needed to oversee a treaty that will open up this area of space to an important hyperspace corridor. If all goes well, it will mean much needed supplies and resources for isolated worlds. But of course there are complications. Apparently not everyone is happy about the upcoming events, and an opposition movement presents problems that the Jedi will have to investigate. Things get more complicated and messier from there as the tension builds and the plot unfurls. Without spoiling anything, it provides an enjoyable backbone that drives the story along. Adding to the main story is a series of subplots which are just as interesting and enticing. One of the biggest underlying themes that is explored is that of slavery. Going to Pijal, Qui-Gon and Obi-Wan come face to face with it and have to reconcile how such a practice can exist and why the Jedi have not done more to combat it. Some of the new characters introduced in the book get woven into the slavery plot, and it becomes a very compelling element to the story. Not only is it a good story point in itself, but it builds upon the greater story of Star Wars and Anakin Skywalker’s position as a slave. Beyond that, the book explores the Jedi prophecies and the Jedi mystics. It establishes Qui-Gon’s interest in them, how that came to be, why they are somewhat taboo in the Jedi Order, and how they become so important to Qui-Gon going forward. Again, it’s a very interesting element to the story and it adds to the greater picture as it ties-in with the films and animated series. The exploration of those prophecies also leads to the exploration of Dooku. While the cover of the book features Qui-Gon and Obi-Wan, the title embraces much more than just those two. We get a deep look at Qui-Gon and Obi-Wan’s relationship, which is nowhere near as smooth as I thought it would be. The friction between the two is actually a wonderful surprise as it adds to the tension in the book. Through this adventure, we see where that relationship could have gone, and where it ultimately heads. But beyond them, we also get a glimpse of Dooku and Qui-Gon as master and apprentice, which is so tantalizing delicious. There are passages threaded throughout the story that provides a peek into the past and show us moments of what their apprenticeship was like. We gain insight at how Qui-Gon looked at Dooku, and insight on just who Dooku was as a Jedi, and the clues of his fall. Plus we learn of another apprentice Dooku had which helps shed more light on this mysterious character who chose to leave the order and become a Sith. It’s hard to say too much without giving away the plot or spoiling anything, but it’s certainly worth the effort. Master & Apprentice is a great read that offers enjoyment on many levels for Star Wars fans. It’s a wonderful exploration of the characters, the Force, Jedi, philosophy, and finding one’s purpose in life. It’s both a fun journey and a rewarding one as you learn more about the greater story of Star Wars, and the personal journey within this one. I give it a five out of five metal bikinis.